Day 4 started out with Chad Gaffield, President of SSHRC speaking about Research On the Digital Economy. Researchimpact-RéseauImpactRecherche actively tweeted his remarks (a portion of which are shown below) throughout his talk which was followed by presentation from a number of the principal investigators of grants from the SSHRC Synthesis in the Digital Economy program. These researchers presented their findings and recommendations for a Canadian digital economy. Stay tuned to SSHRC for a synthesis of the syntheses and for all the syntheses to be posted. In the meantime, see the synthesis paper that involved David Phipps of ResearchImpact-York. The last chapter of this paper reviewed the intersection of digital technologies, knowledge mobilization and the engaged campus. 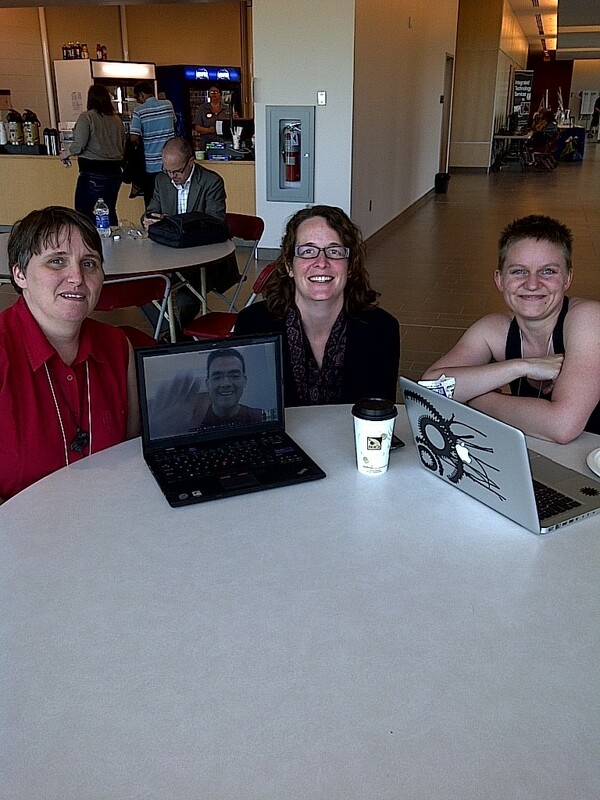 The afternoon featured a tweet up of some KMb/Congress/RIR tweeps including @jovanevery, @mcshanahan and @qui_oui (left to right in the picture below) with @Kmbeing joining by skype. Thanks to @qui-oui for organizing this. Don’t forget the KMb at Congress tweet chat June 1 at noon Eastern. More information can be found here. After 42 visits and 24 substantive KMb conversations we headed to the Lobster cook and Kitchen Party. Good music, good lobster and great company with friends from SSHRC and Johanne Provencal from Simon Fraser University who was co-author of the synthesis paper linked above. Great end to an invigorating day. Please join us for the KMb Congress Tweet Chat event co-hosted by ResearchImpact-Réseau Impact Recherche and the Canadian Federation for the Humanities and Social Sciences. How can we more effectively communicate the value of SSH research to different stakeholders? How do you measure and communicate impact of SSH research? 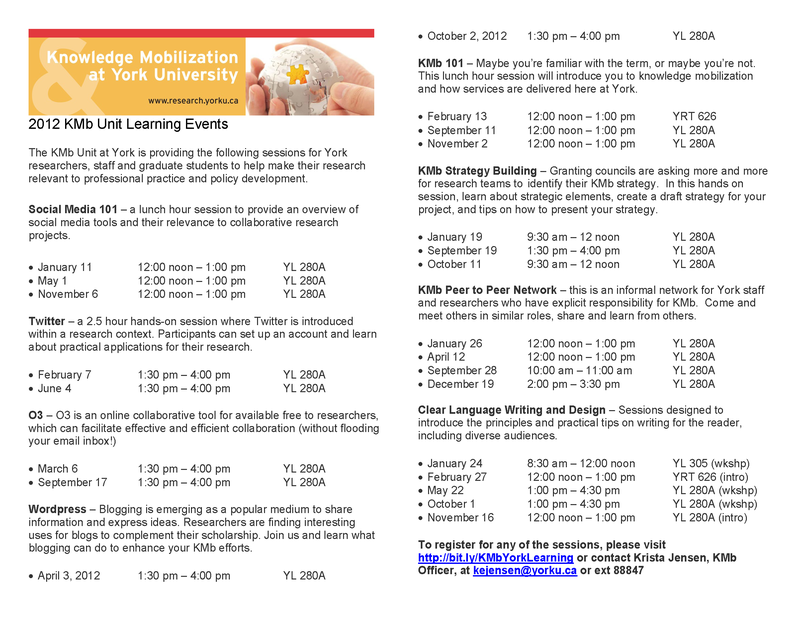 How can knowledge mobilization maximize this impact? See KMbCongress TweetChat Flyer for more information. In order to take part in this event you must sign up for a Twitter account. 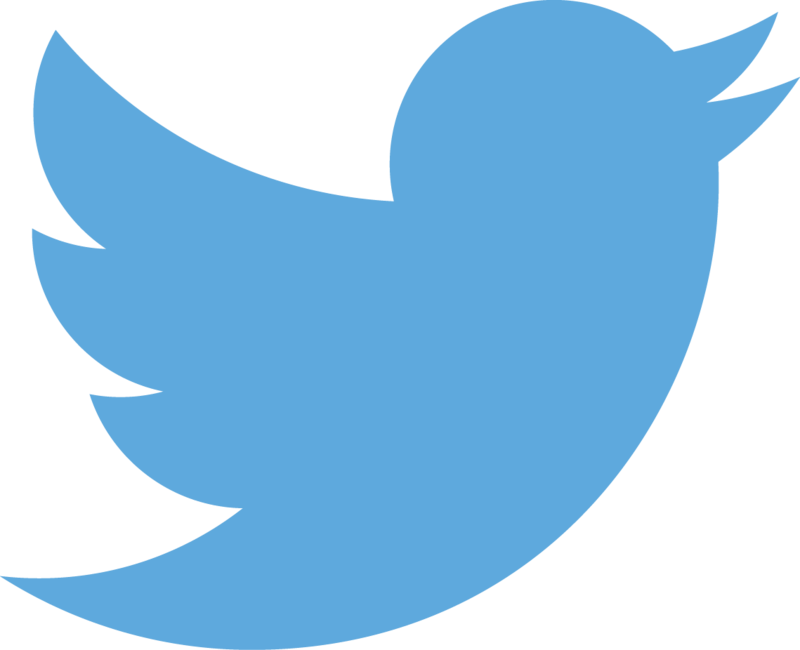 If you don’t have a Twitter account, go to twitter.com and click on the sign up button and follow the instructions to create a profile. 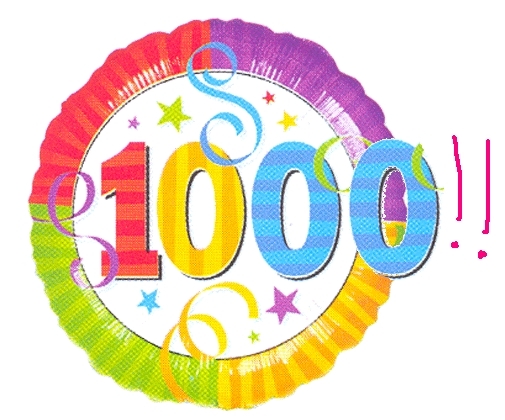 1000 followers – it’s not a record but Twitter is an important part of connecting to a broader community of knowledge practitioners. 1000 abonnés – Il ne s’agit pas d’un reccord, mais Twitter représente une voie privilégiée pour rejoindre la communauté élargie des “praticiens du savoir”. Lady Gaga has 7,941,444 twitter followers. Oprah has 5,549,842. CNN has 1,889,096. Charlie Sheen has 3,531,943. 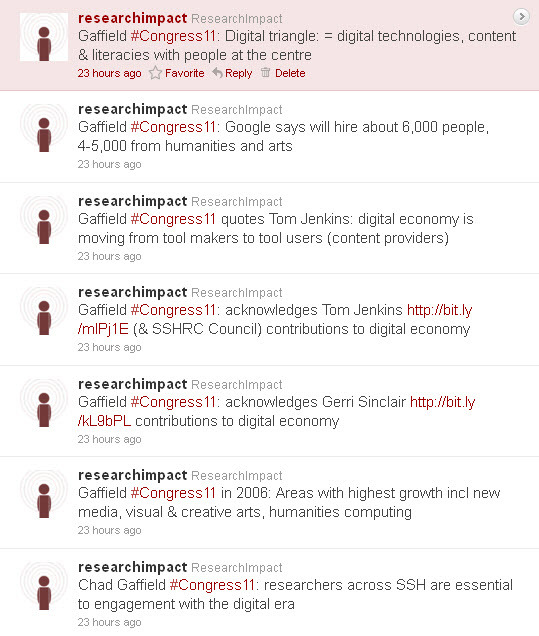 Sometime between 11:00 am and 11:45 am on March 26, 2011, @ResearchImpact hit 1000 followers. It took us 22 months to get there. It’s not a competition and followers are only one measure of the impact of a twitter presence. Charlie Sheen might have 3,500 times the followers of ResearchImpact but I hope that in the world of knowledge mobilization we’re having more of an impact than he is. 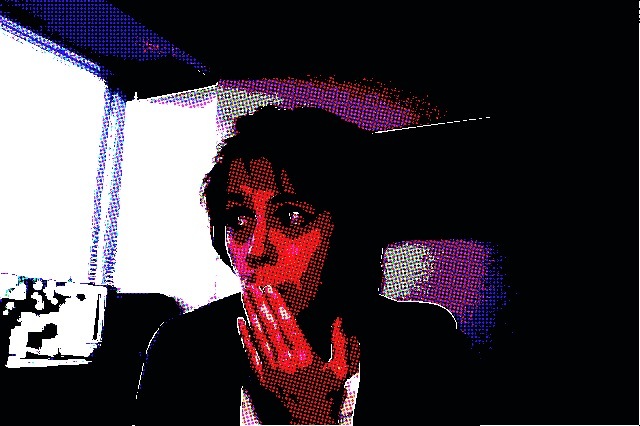 Impact is an interesting thing on twitter. There are a few services that allow you to measure your impact on twitter. You may not be a celebrity, but within your area of expertise your opinion is second to none. 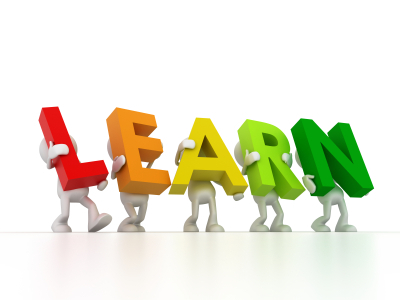 Your content is likely focused around a specific topic or industry with a focused, highly-engaged audience. Twitalyzer: we score 1.1 out of 100 which puts us in the 62nd percentile. I have no idea what any of this means. Scores range from 1.1 to 97.4 out of 100. At the end of the day are we getting re-tweets, comments and mentions by our followers? Yes. And that’s what matters to me.